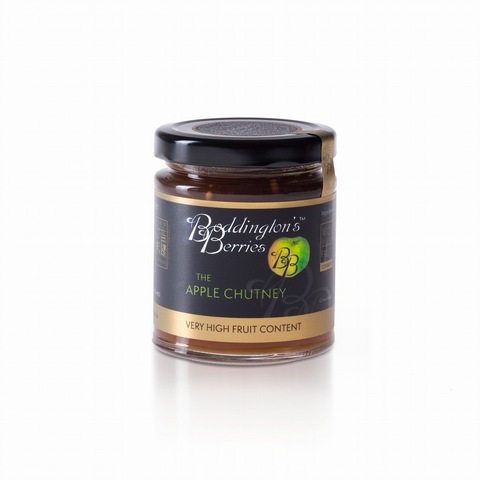 Please choose from our range of jar sizes below, or for more information about our Apple Chutney, please Click Here. 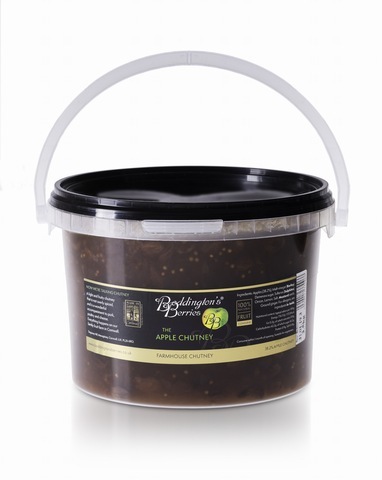 Ingredients: Apples, Malt Vinegar (Barley), Demerara Sugar, Sultanas (Sulphites), Onion, Lemon, Salt, Mustard Seeds, Ground Ginger. 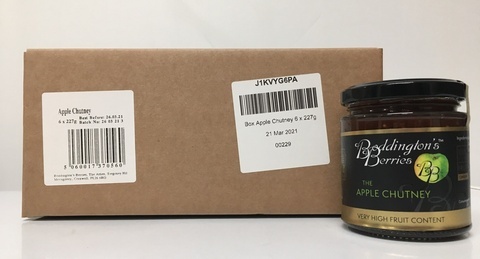 A retail box of 20 no. 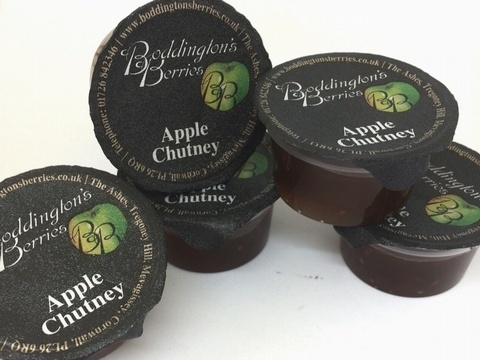 28g plastic individual potions of Apple Chutney. 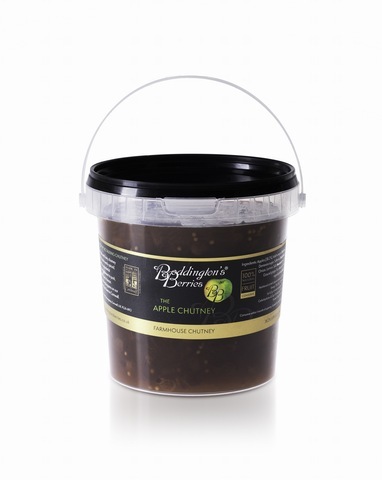 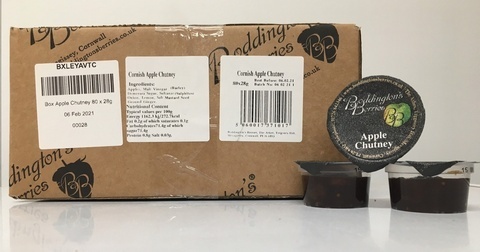 Apple Chutney contained in a 1.3kg plastic catering pail.